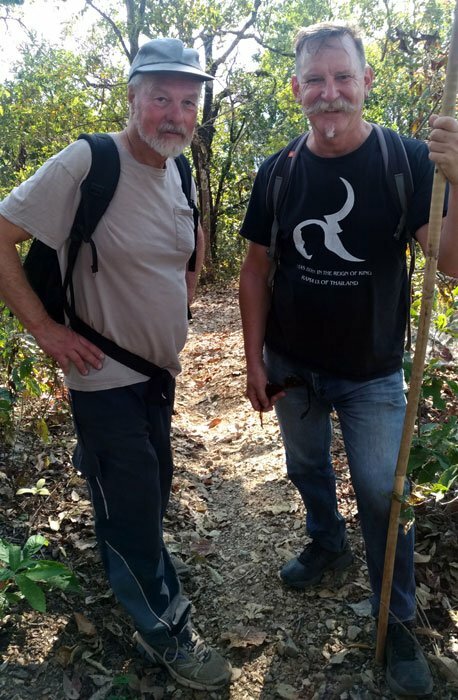 John and Dave on a trek. Smartphone panorama. Take your camera with you. Do not rely on using your smartphone. Common knowledge dictates that the best camera is the one you have with you. Smartphone cameras are convenient, but they do not always produce the photos that you really want. Not long ago I had an opportunity to travel with good friends. We went up to one of my favorite chill out places. 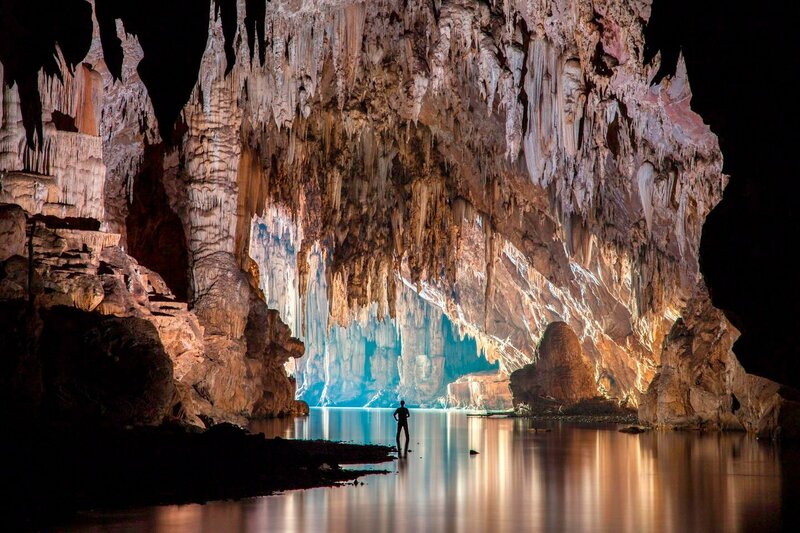 Cave Lodge is in the far north of Thailand. Up near the border with Myanmar. The lodge is located at the edge of a small village and about 500 meters upstream from the mouth of Lod Cave. I’ve not been a fan of caves, they’re dark and stinky, but always loved visiting the lodge and surrounding areas. On this trip, things changed. John and his wife Nang greeted us as we arrived. They’re the semi-retired original owners who were taking a short visit back home from their international travels. Dave was also there. He helped John build the lodge back in the 1980s. Both these guys are mad keen cavers and hikers. The first thing I got roped into was tomorrow’s hike. I’d opted not to pack a camera. I just wanted to take a break. Not that I’ve been photographing much lately, apart from during our workshops. It was a strange thing. I always travel with a camera. 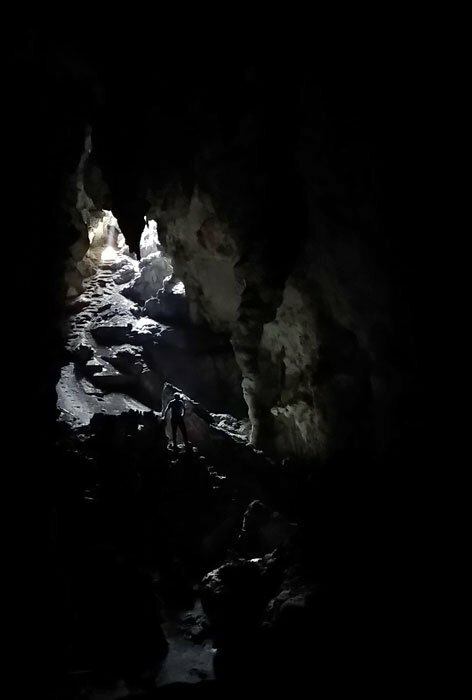 While hiking and clambering around in the dark cave, I didn’t miss the weight and bulk of a camera and bag at all. It was a welcome change no to have it. Along the way I snapped a few pictures on my phone, not minding the lack of camera. But once we got down towards the back of the cave we’d descended into, I felt a bit bummed out. Looking back up into the entrance of the cave above us, the light reflecting off the dark interior was quite spectacular. I’m sure John took us there to positively influence my opinion of caves. John in the cave. Smart phone photo. I’ll be back. John encouraged me a number of times during the walks that these were really just my initiation. I know I’ll always keep visiting, no matter how chill my own home is. No real problem that I didn’t have my camera, John and Dave painted amazing pictures of adventures they’d shared. Their stories of experiences building the lodge and exploring the outsides and insides of mountains were rich and colorful. And sometimes a little dark. I look forward to returning with my camera, tripod, and lights when John and Nang come back to settle down. 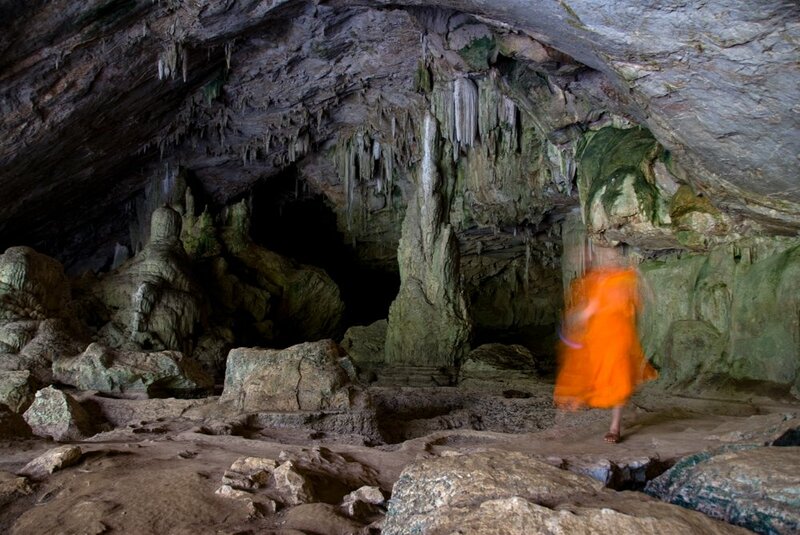 I’d like to learn the art of cave photography from an expert.